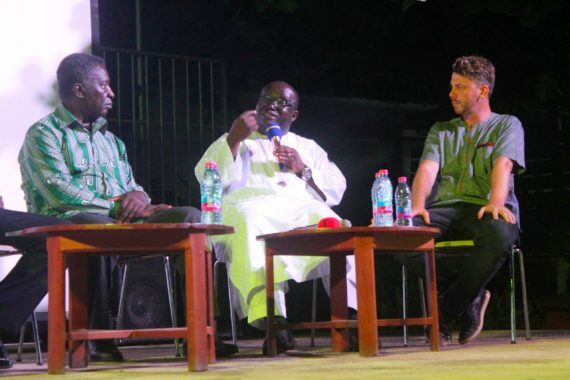 A panel discussion that followed the screening of “Galamsey – For a Fistful of Gold”, a documentary by the award winning German director Johannes Preuss, vividly revealed the long-term health, economic, social, security and other implications on Ghana and beyond. In a highly informative and educative discussion at the Goethe-Institut in Accra, Prof. Kwabena Frimpong Boateng (Minister of Environment, Science, Technology and Innovation), Dr. Benedict Calys-Tagoe (Public Health Specialist), Kenneth Ashigbey (Convener of the Media Against Galamsey) and director Preuss dilated on the menace that has reached alarming proportions in recent years. Opened by the German Ambassador to Ghana, H/E Christoph Retzlaff and moderated by economic journalist Emmanuel Dogbevi, the panelists severally and jointly pointed out to the dire consequences that “galamsey” would have on the sustenance of life in the affected communities and beyond if the authorities do not take long lasting measures. Contamination and adulteration of rivers with substances such as mercury, oil and grease, deforestation, climatic changes, accidents from crude processing methods, migrations, premature deaths, noise pollution, rise in violence / crime, destruction of the eco system and revision of laws were equally discussed by panelists. 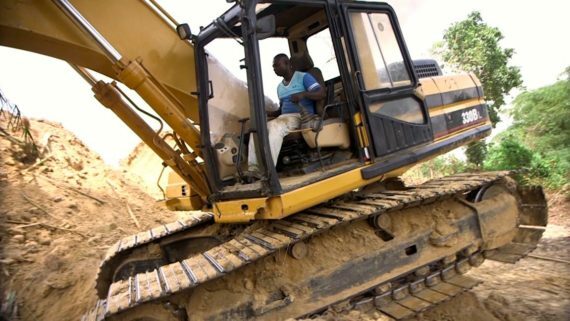 Set in Twifo Praso in the Central region, the twenty-eight minute documentary brilliantly exposed the danger faced not only by communities close to these illegal mines but also the country at large. 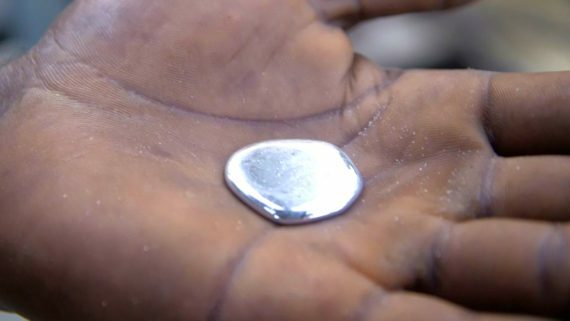 Intense images show dangerous chemicals being washed into rivers by these miners resulting in the death and destruction of various forms of aquatic life and putting human lives at great risk. 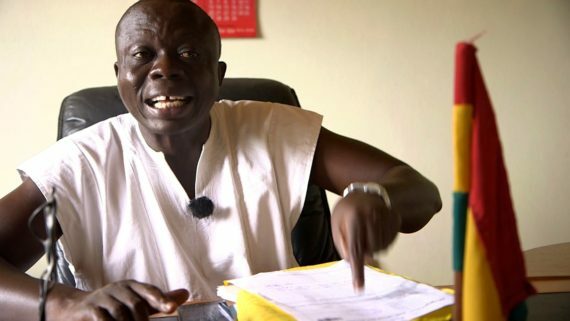 Preuss, who without doubt has seemingly good intensions, engaged local authorities, poor workers, supervisors, middle men, traditional leaders, town folks and traders as he sought for answers as to why an act that threatens the survival of the communities and the country as a whole, largely remains unchecked. 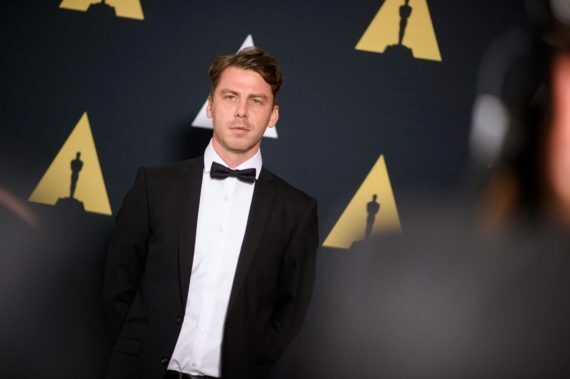 Trained at the Baden-Württemberg Film Academy in Ludwigsburg (Germany), this documentary by Preuss is a direct result of his previous experience as a development worker in Twifo Praso during which he observed the problems and challenges surrounding illegal gold extraction. 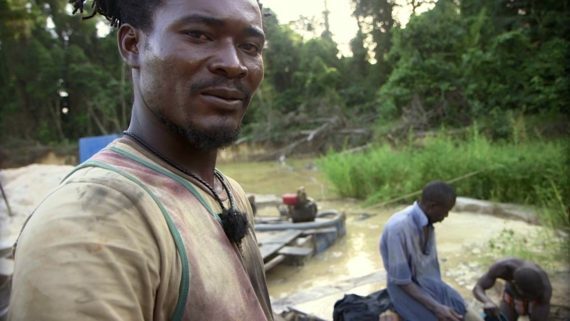 “Galamsey – For a Fistful of Gold”, which won a Student Oscar in 2017, also touched on the equally disturbing issue of corruption and exploitation, which have been one of the hallmarks of the illegal mining of gold in Ghana. Preuss, who also has a Master’s degree in politics, history and roman literature studies from the University of Bonn (Germany), made fruitless attempts to talk to the giant mining companies, who he thinks are part of the problem. 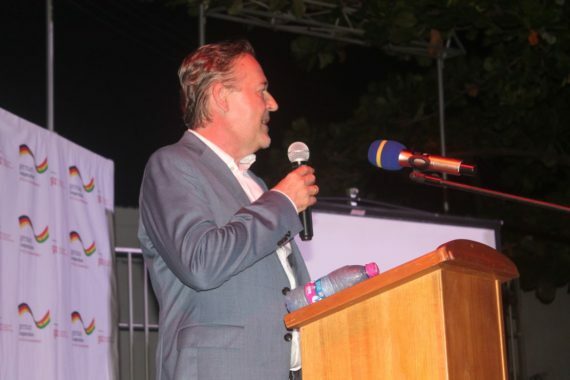 German Cooperation, GIZ and Goethe-Institut Ghana supported the screening and discussion.